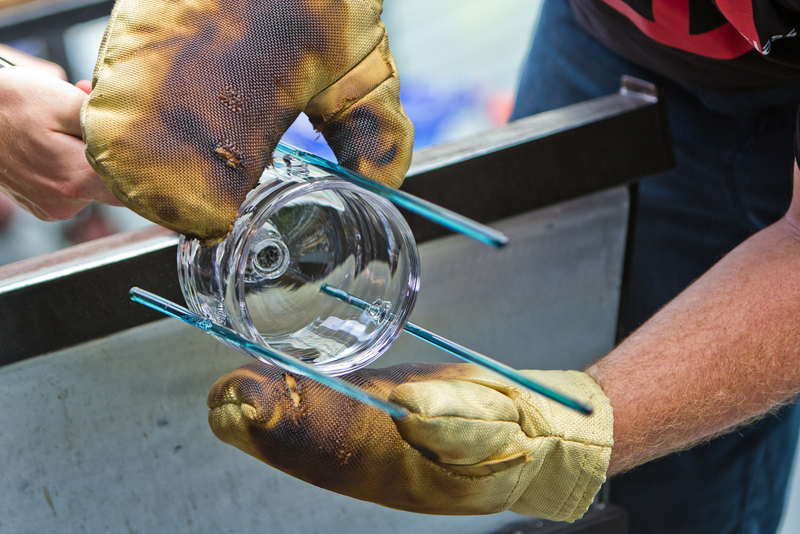 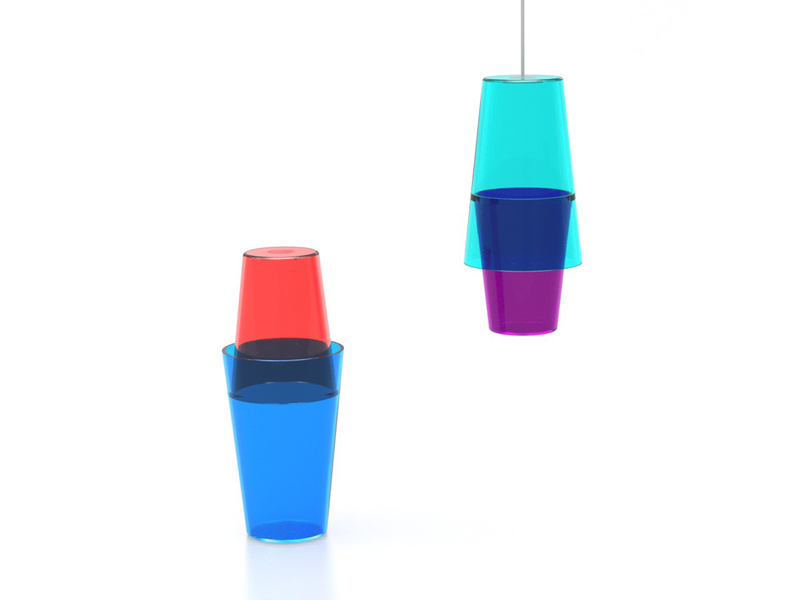 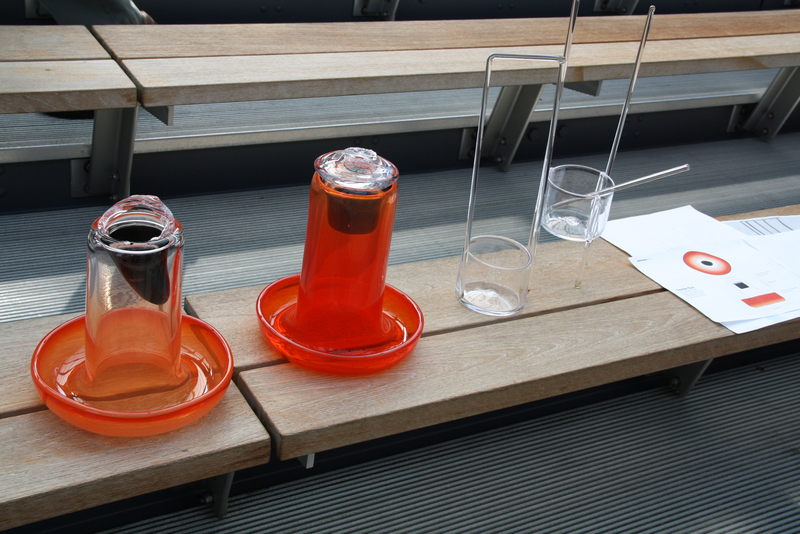 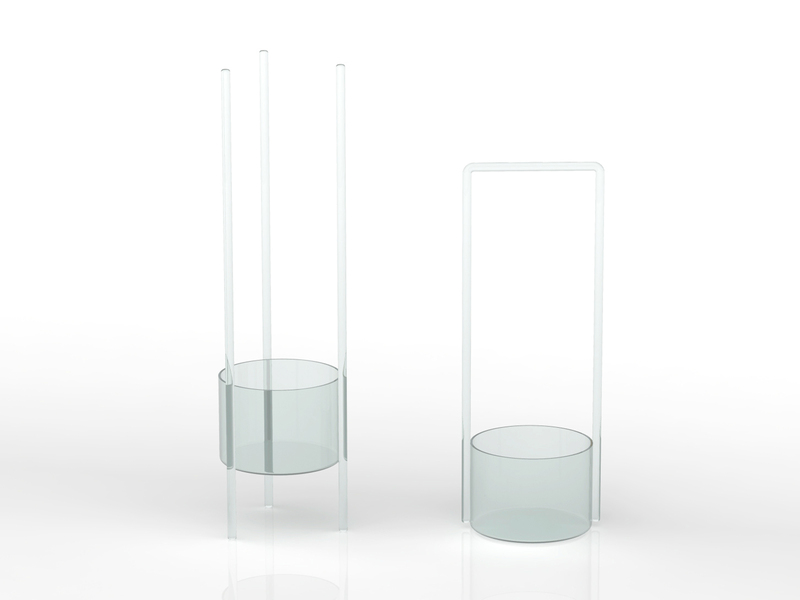 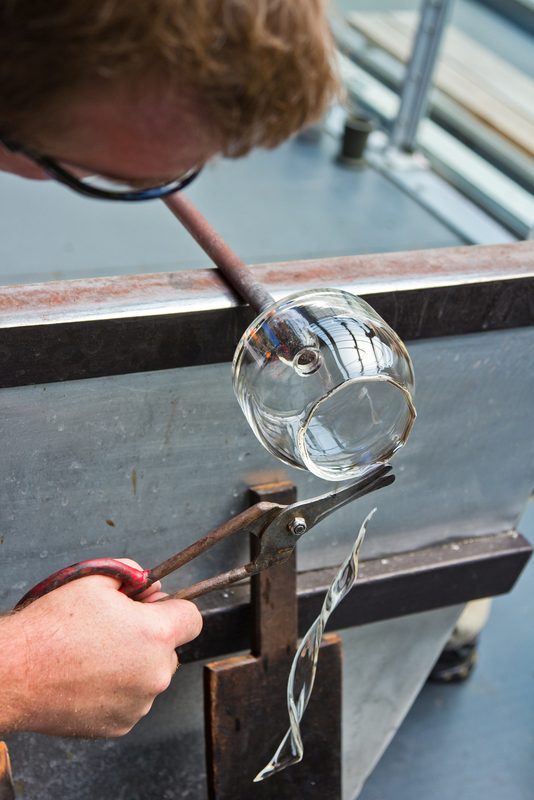 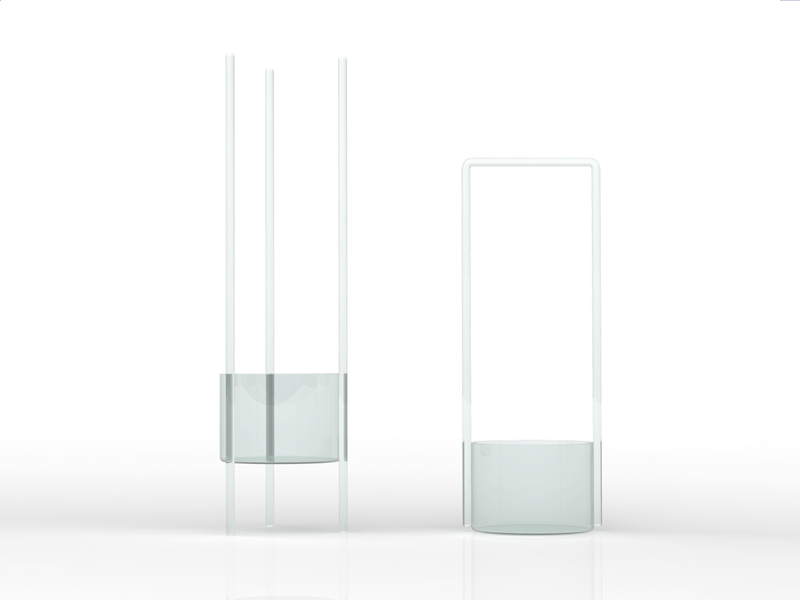 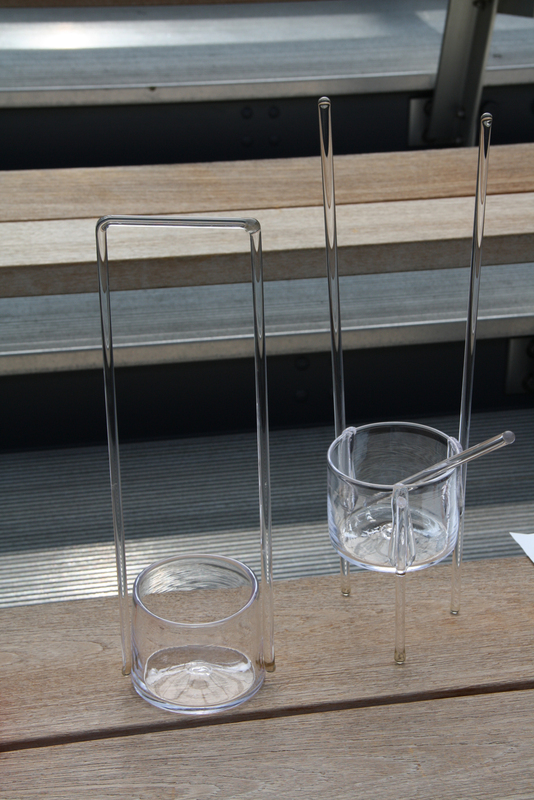 Developed tube-shaped vases, inspired by the form of scientific glass labware. 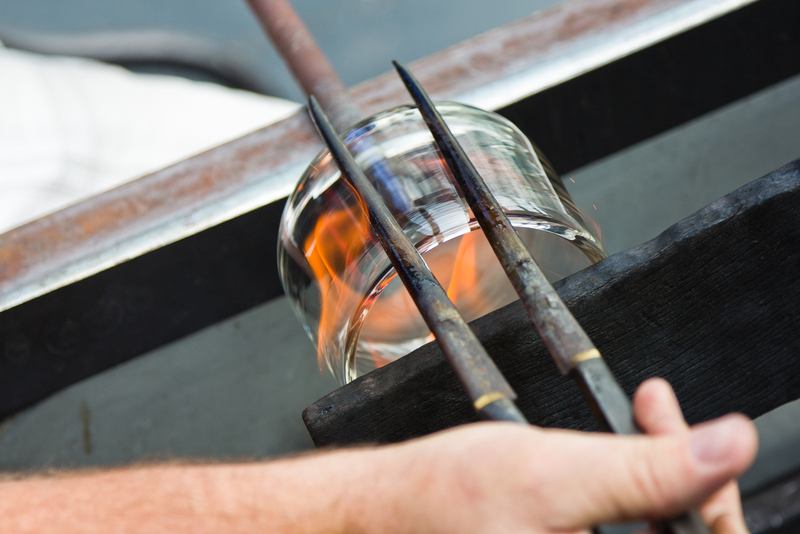 It’s almost like alchemy. 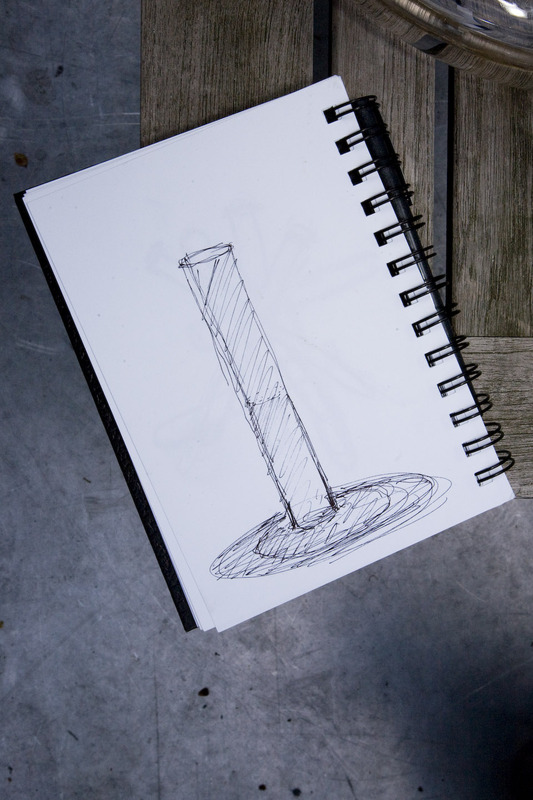 You are making something beautiful in a very quick period of time. 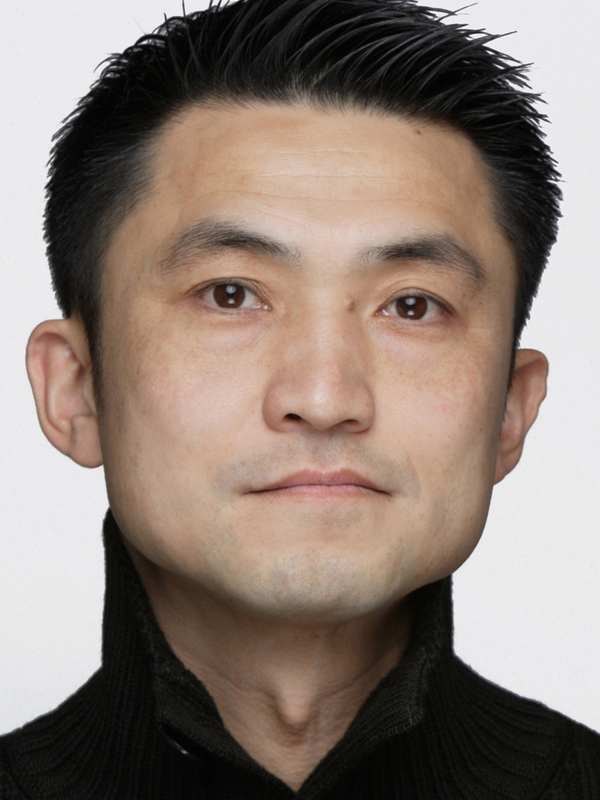 Masamichi Udagawa was born in 1964 in Tokyo, Japan. 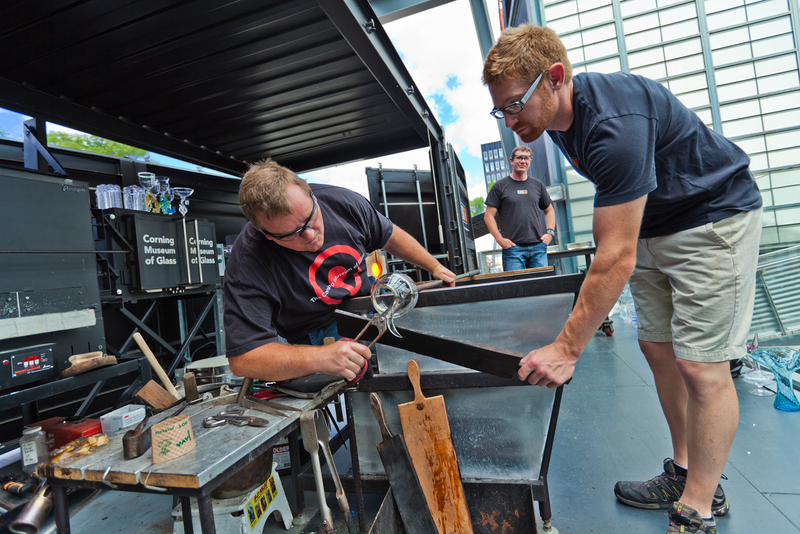 He graduated with a BE degree in industrial design from Chiba University in Japan, and received a Master of Fine Arts degree from Cranbrook Academy of Art in Michigan in 1991. 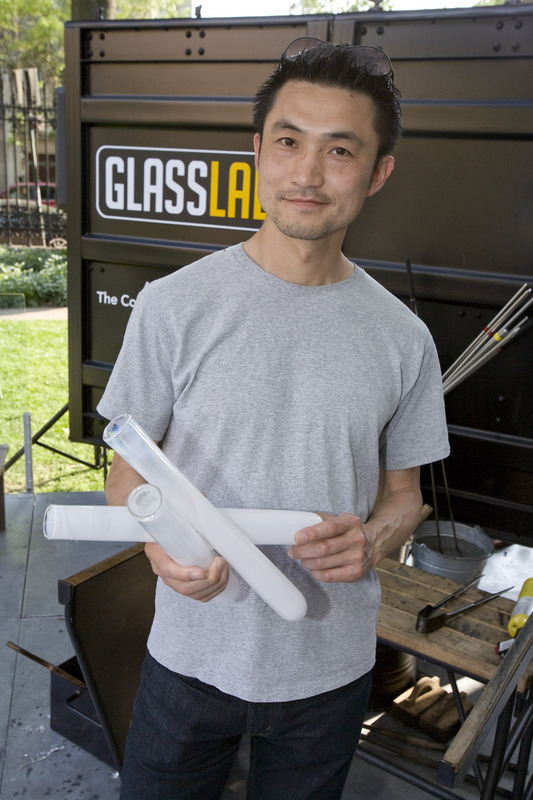 Prior to co-founding Antenna, Udagawa worked for Yamaha designing musical instruments, for Apple designing computers and new user experiences, and he ran a New York satellite studio of Ideo Product Development. 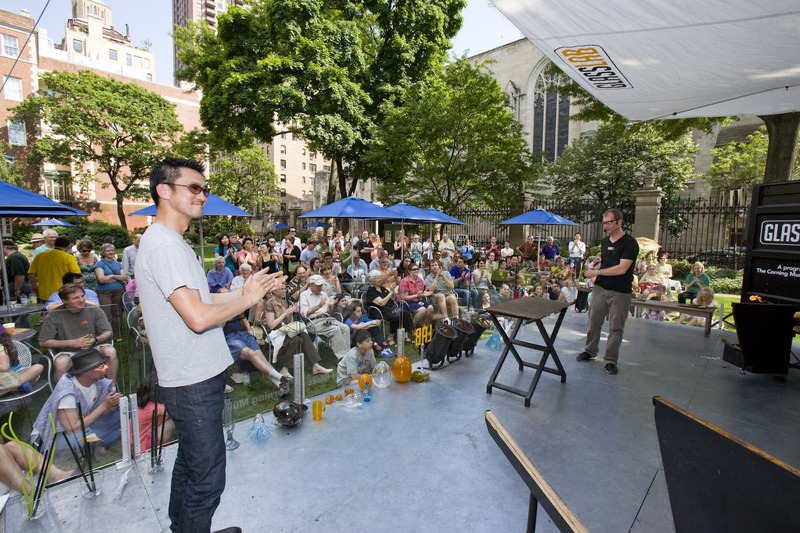 In addition to his design work at Antenna, he has also been teaching design since 1992, and is currently visiting faculty and critic at Yale University School of Art. 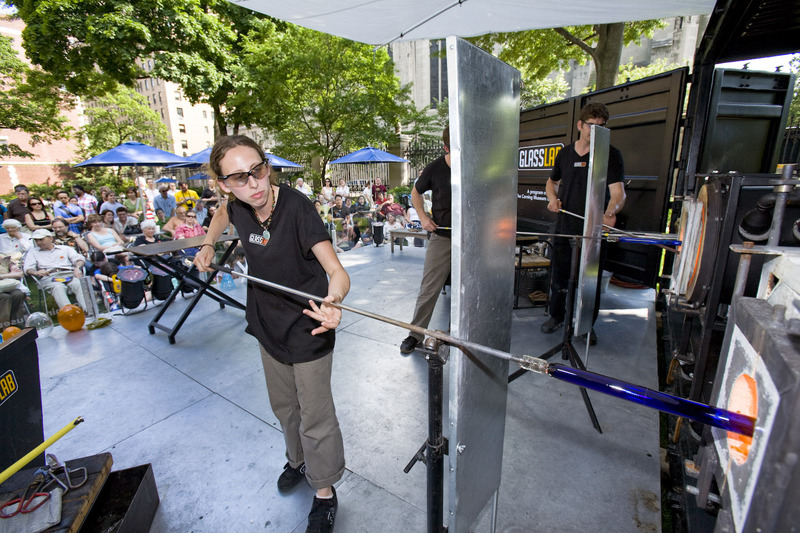 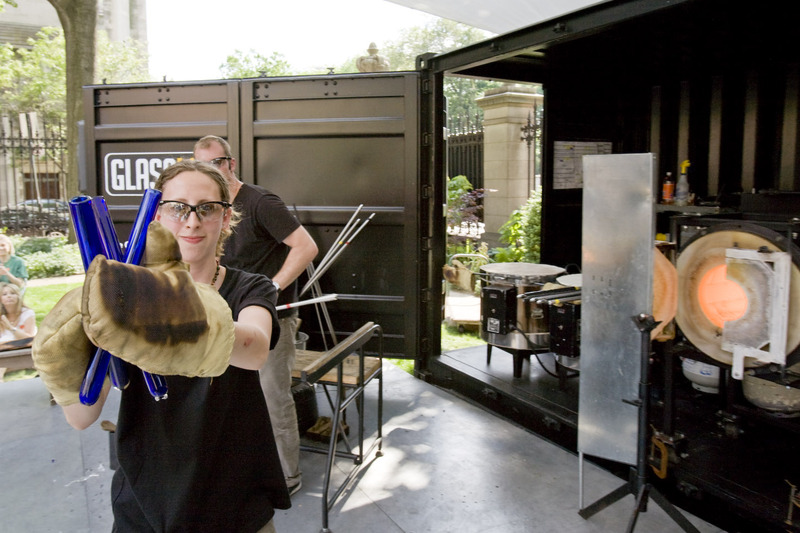 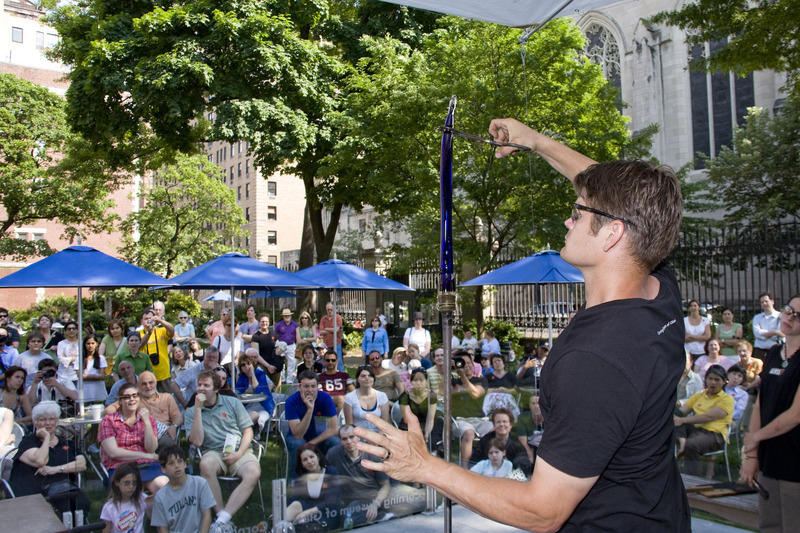 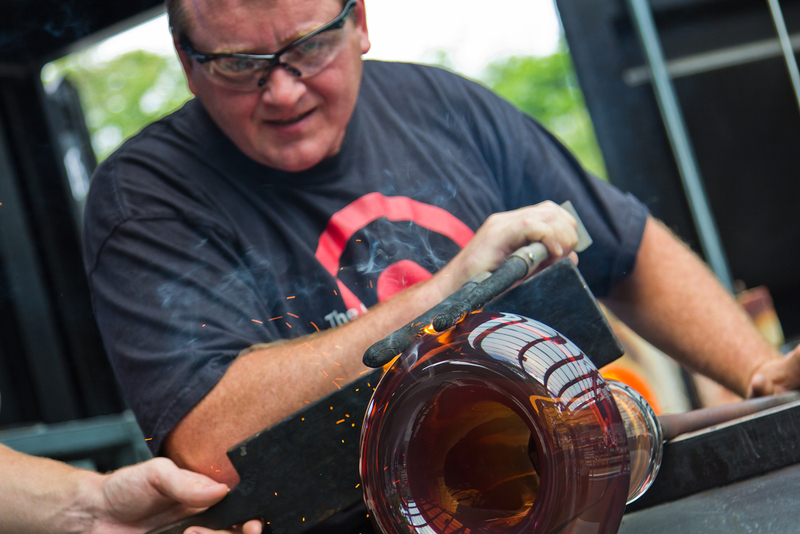 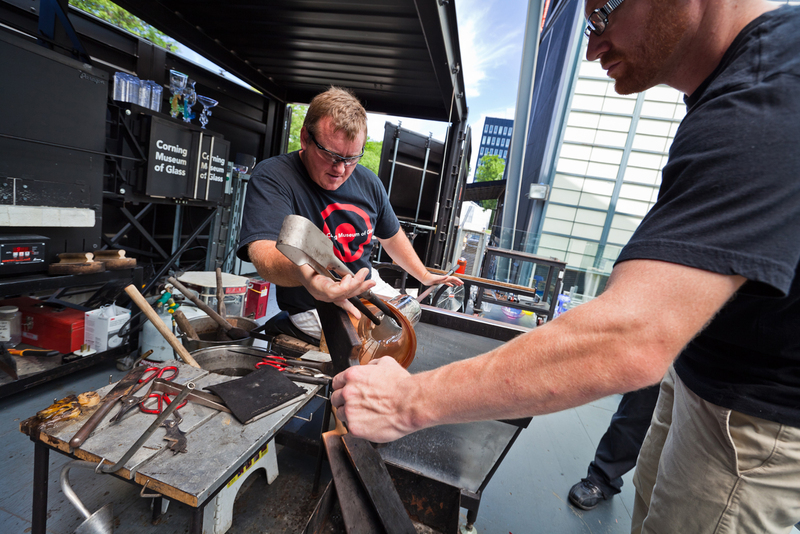 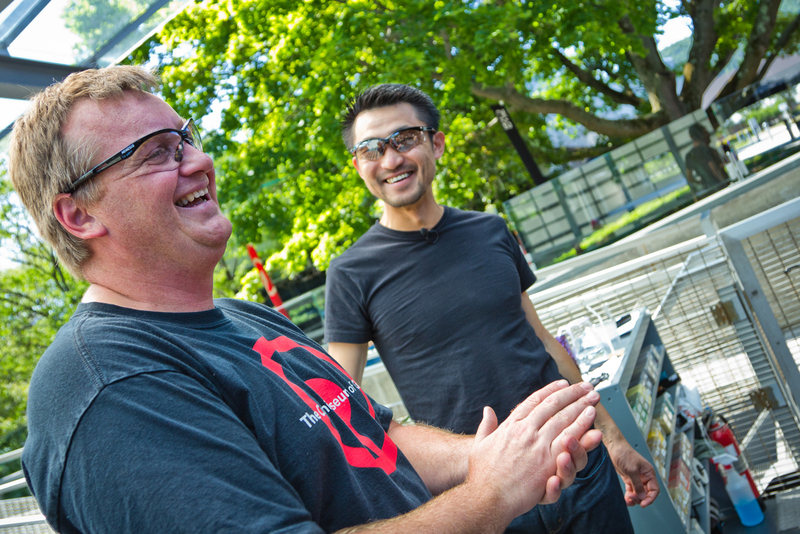 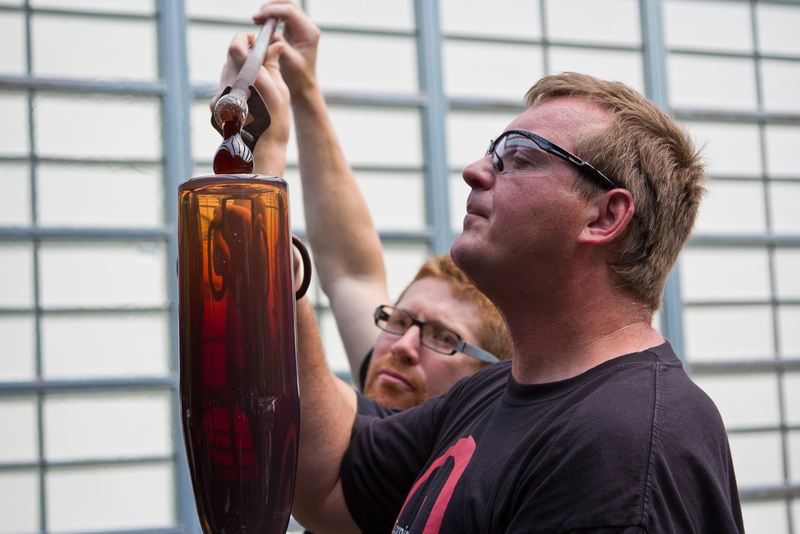 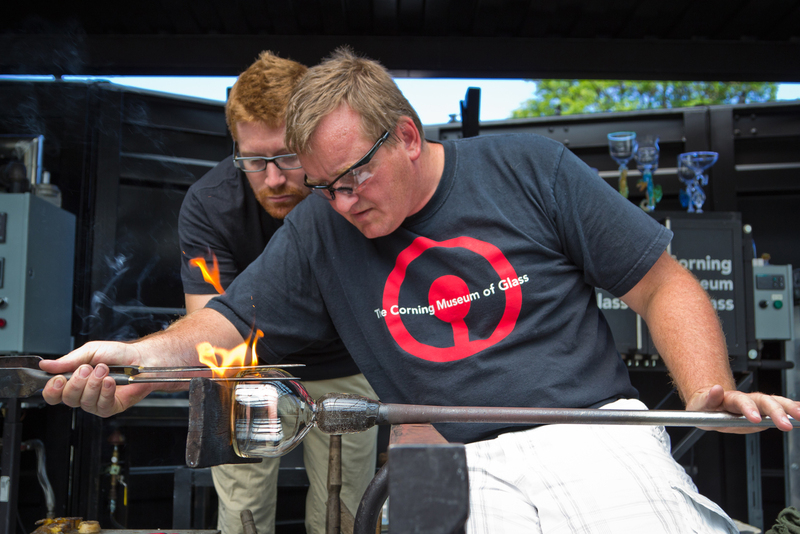 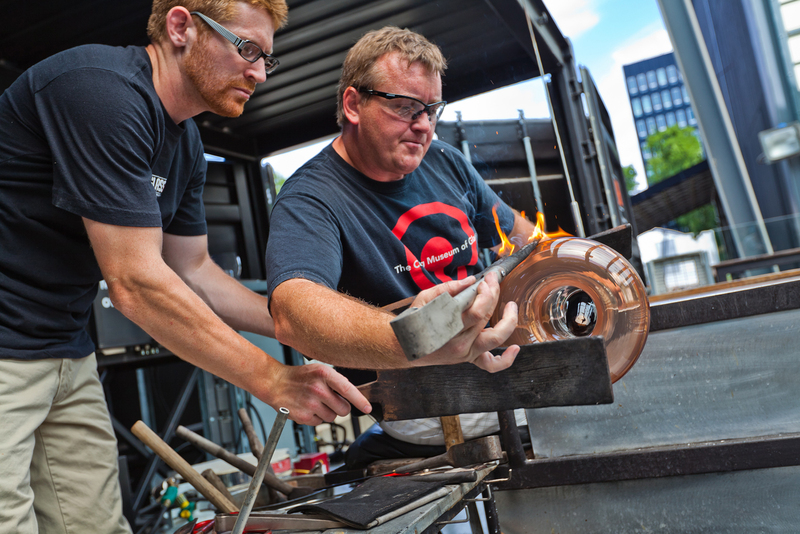 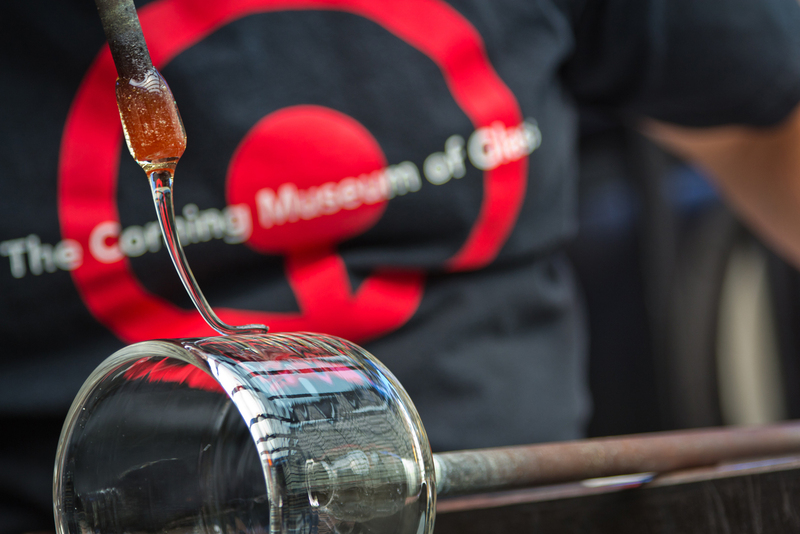 In May, 2008, GlassLab presented at the Cooper-Hewitt, National Design Museum. 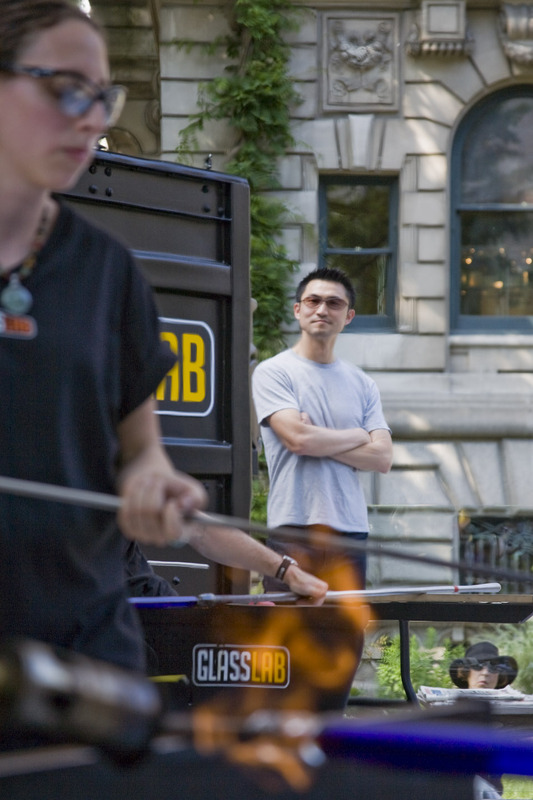 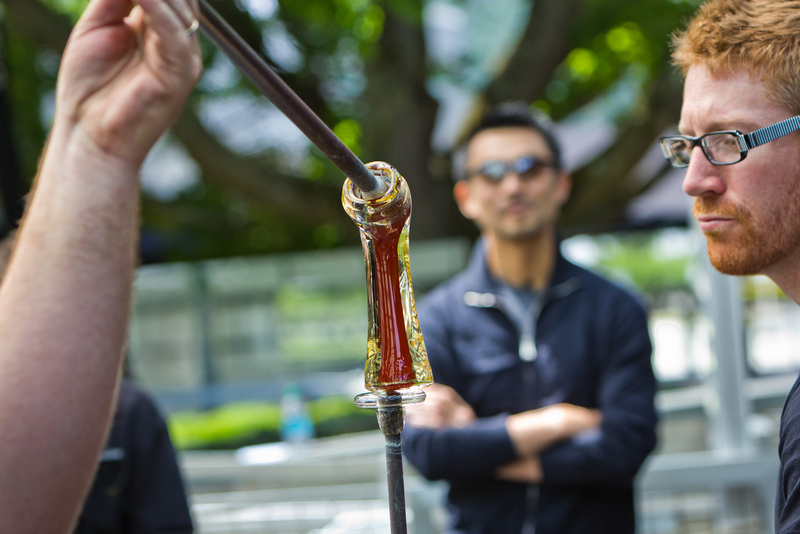 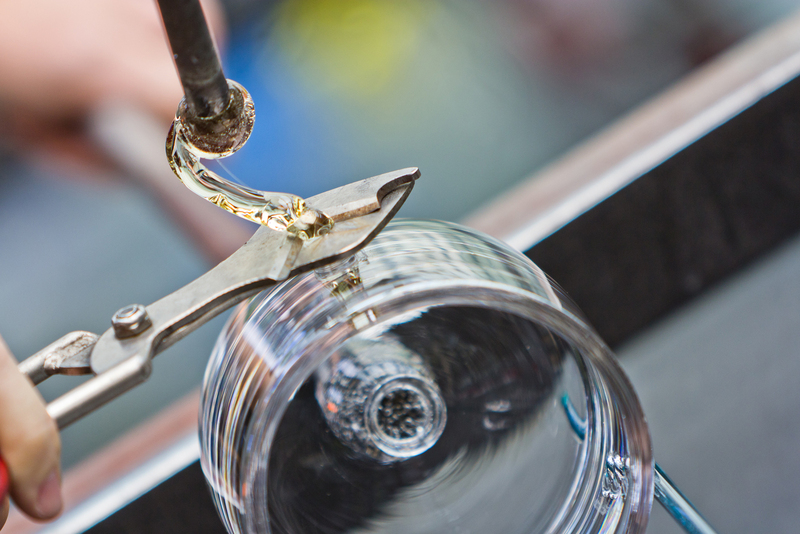 Designer Masamichi Udagawa describes working at GlassLab during this event. 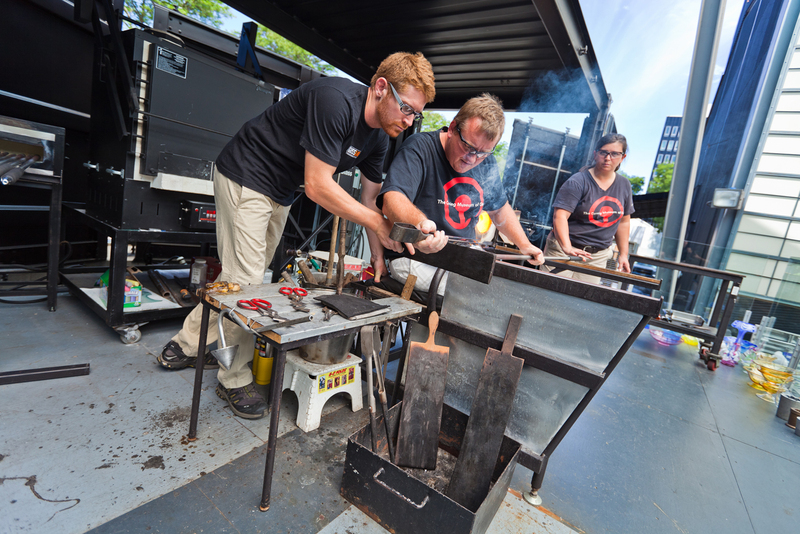 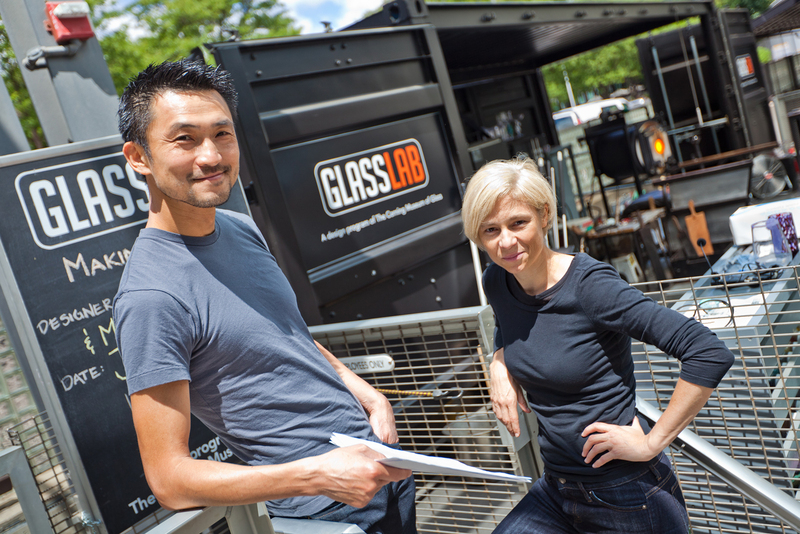 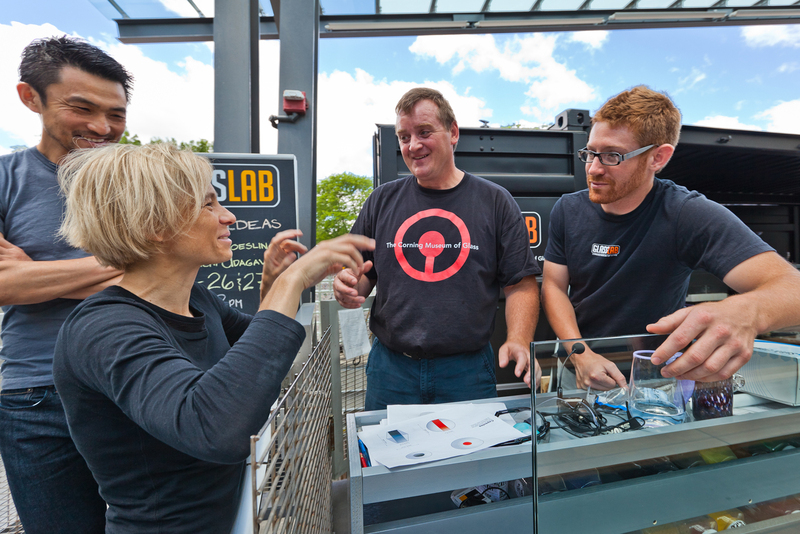 Designers Sigi Moeslinger and Masamichi Udagawa describe working at GlassLab during a two-day design session at The Corning Museum of Glass, June 26 - 27, 2012.